When you move into a new home or apartment even if it is a brand spanking new home, it is important to have a professional locksmith. Andrea Locksmith can properly install any locks made for your home quickly and efficiently. Why hire a professional?Sometimes simple contractors don't install deadbolts correctly. Also you don't really know how many keys are floating around to the locks that belong to your brand new home. Now that is creepy. Improperly installed locks and deadbolts will not protect your home and will allow intruders in easier. Sometimes it’s a great asset to know who exactly is behind the door knocking – is it a neighbor who wanted to return something they found outside or could it be someone who wishes to gain easy access to rob or harm you? This is when you wish you had a peephole in your door. A peephole installation for your front door is surprisingly easy for professionals to accomplish. Our team of experts at Andrea Locksmith can help install that peephole so that you have a way to double-check your potential visitor before opening the door. Whenever you need to make the change to get new locks installed, our team at Andrea Locksmith can help keep things safe with the proper locking systems that keep unwanted hazards outside where they belong. Regardless if you need a new lock installation for your home or your office, we have a broad inventory and our knowledgeable experts can help you choose the right locks for you. 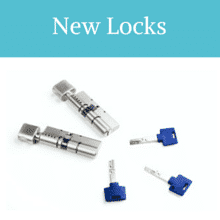 The first step in a new locks installation is to have an appointment scheduled that comes with a free consultation. You can schedule this by calling our customer service representatives. 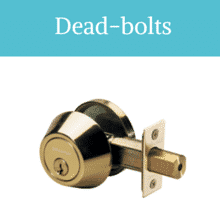 Dead-bolts offer strength and help to guard against unauthorized entry as they must be rotated to the open position unlike regular spring locks that can be pushed aside. Andrea Locksmith has a wide array of dead-bolts to compliment your regular door locks and double your security on your door. From thumb-turn only to Single cylinder we carry them all depending on your needs. It is important that if a dead-bolt is near a window that it is not knob as the intruder can break the window and turn the knob to get inside. Contact us for information on all our dead-bolts. Are you struggling to remove a broken key from your door lock? 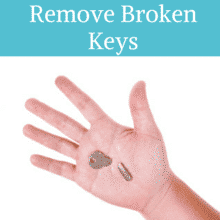 Have you moved from one website to another looking for the easiest way to remove broken keys? Well, the easiest way is to contact a locksmith service. Instead of spending much time looking for information or using the wrong tools, call Andrea Locksmith. We understand that removing broken keys is an urgent security issue. Hence, we will not delay in sending technicians to your home or office. We will not damage your lock or door when removing the key. Our emergency service is available 24/7 for this and other locksmith services.